Alaska Gov. Bill Walker has rejected the Legislature's bid to revive the dormant proposal to build a bridge from Anchorage across the Knik Arm. Walker signed the state's yearly operating and capital budget proposals Wednesday. While doing so, he used his line-item veto power to delete $2.5 million that lawmakers set aside for the bridge in the capital budget. The polarizing megaproject has boosters in the Mat-Su and detractors in Anchorage's Government Hill neighborhood, where one end of the bridge would sit. Walker stopped work on it two years ago, citing the bridge's cost — at least $700 million — amid the state's huge budget deficit. Wednesday's signing ceremony, at the Alaska Native Science and Engineering Program on University of Alaska Anchorage's campus, was something of a milestone in fixing that deficit. For the first time, the budget legislation signed by Walker uses investment earnings from the $65 billion Permanent Fund to plug the deficit. The current year's deficit is filled with cash from Alaska's savings accounts. State spending, not including Permanent Fund dividends, is $4.4 billion in unrestricted general funds, and the $2.1 billion deficit is filled with savings. With the use of the Permanent Fund's investment earnings, the deficit will shrink to an estimated $700 million in the budget for the next fiscal year, which starts July 1. Separately, Walker signed a third piece of legislation, Senate Bill 26, that establishes guidelines for state spending of Permanent Fund earnings over the long term. Passage of that legislation has left the state on more stable financial footing, according to S&P Global Ratings, an agency that assesses the reliability of institutions that borrow money, including state governments. S&P, in an announcement last week, said it had upgraded the "outlook" for Alaska's credit rating to "stable" from "negative," reflecting passage of SB 26. The legislation, it wrote in a prepared statement, "should allow for sustainable draws from the fund in future budgets." Walker, in a prepared statement, said the package of legislation is "a statement of our shared values as Alaskans." 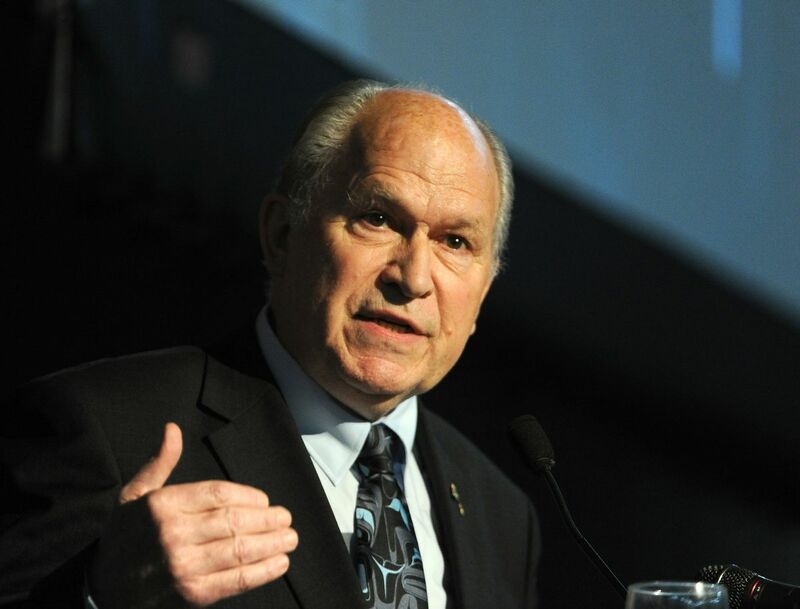 Passage of SB 26 and a budget that uses Permanent Fund investment earnings "are the biggest steps Alaska has taken in the last five years to turn the corner toward a stable future," he added. Still, Walker has said megaprojects projects like the Knik Arm bridge will continue to pose challenges to the state, given that a deficit — albeit a smaller one — persists. The bridge would improve access to the Mat-Su and provide a backup route to Anchorage that would enhance emergency response, said Wasilla Republican Sen. David Wilson, who amended the budget to include cash for the project. "It's a life-safety issue," Wilson said in a phone interview from Denver, where he's attending a conference on opioids. "It seems like the governor just has it out for all projects in the Mat-Su." Walker did not veto $21 million that lawmakers set aside for another megaproject: developing the proposed road leading out of Juneau. But a spokesman asserted that that line item is different because it uses cash that lawmakers already budgeted for capital projects in previous years. That's unlike the $2.5 million for the Knik Arm bridge proposal, which would have come out of the state's general fund. Walker did veto $500,000 more that lawmakers set aside to study potential benefits from women and children taking more vitamin D supplements. The spokesman, Austin Baird, said a similar study is already underway. Homer Republican Rep. Paul Seaton, who wrote the budget amendment that would have paid for the research, said he hasn't gotten details about the study that's already in progress. He argued that more consistent use of Vitamin D could help cut state spending on health care by reducing the rate of early births. He said he just wants a study conducted that, when it's finished, will be accepted by the state health department. "It really doesn't matter to me who funds it," he said.